We never really grow up, do we? We Indians are frequent guests in this country as we can bag cheap flight through top travel companies, anytime of the year. 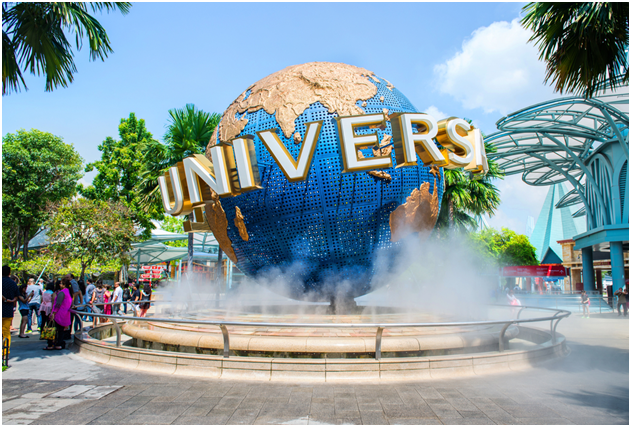 The Universal Studios at The Santosa Island in Singapore is a treasure for the childlike wonderment hidden inside each one of us. This amazing theme park has been drawing in millions of people since its inception in 2011. You cannot come to Singapore and go back without having explored the incredible wonders in store within its premises. As soon as you enter you can’t help but marvel in amazement at the minute details of every setting, especially the alleys of New York. It sends you on a trip down the nostalgia train TO the glamorous 1920’s. It would be an understatement to say that 10-12 hours of time are grossly insufficient to see everything at the park. Then there are the crowds and the queues as well. It is inevitable to miss of the attractions or rides. Also, make sure you get cheap air tickets from Mumbai to Singapore at Yatra to make your trip even more exciting. Most of the visitors tend to underestimate this spectacle of energetic dancers, lively music and an explosion of colors and creativity. At the Hollywood Dream Parade, you can watch the exciting worlds of Madagascar, Revenge of the Mummy, Jurassic Park, and Shrek all come to life in these beautiful floats. You get to see both, kids as well as the adults, interacting with their favorite characters with the same amount of innocent enthusiasm. Moreover, soon you find yourself dancing and singing along in a happy unison with the crowd. True to its name this dual ride will give you speed, agility, stomach lurching turns and vertical drops – just like those you might experience when abode a real space shuttle. It is one of the most recommended rides in the park with two intertwined rollercoaster tracks called HUMAN and CYCLONE. These simultaneously function and rest assured that by the time you get off it, your adrenaline levels will be through the roof. Talking about adrenaline and getting the heart racing, you cannot forgo the legendary and nostalgic universe of the Jurassic Park. As you drift through the primeval dense tropical forest on a river raft, you won’t be able to shake the feeling of being a prey for the almost-alive gigantic predators. Be prepared to get soaked in the waters and be overwhelmed with a feeling of awe. This ride is highly recommended for families with children, and this entire section of the Universal Studiosis full of other surprises like the WaterWorld, Rapid Adventures, Dino-soaring, Canopy-flyer, and the Amber Rock climb. There is seldom anyone in the world who is not fascinated by the hidden mysteries of the enigmatic Egyptian kingdoms. Even as you begin entering the enclosure, the two 20ft tall part-wolf part-man statues of Anubis – the God of theafterlife, begin to intimidate you. The ambience inside is just right to give you the Goosebumps and it’s surprisingly intense, high-speed roller coaster combines the elements of a haunted house along with a multimedia adventure – All taking place in pitch darkness. So, when are you packing your bags next? Santosa Islands are not far. You can get cheap air tickets from Mumbai to Singapore at Yatra and view steal deals for a beautiful holiday too.